With the use of the 620 pocket spring system, the Sapphire Latex Superior mattresses offer the best individual support for the sleeper during the night. The upper layer of springs provide much needed support to the contours of your body, whilst the lower layer acclimatizes to weight distribution, shifting with the body for greater support and comfort. 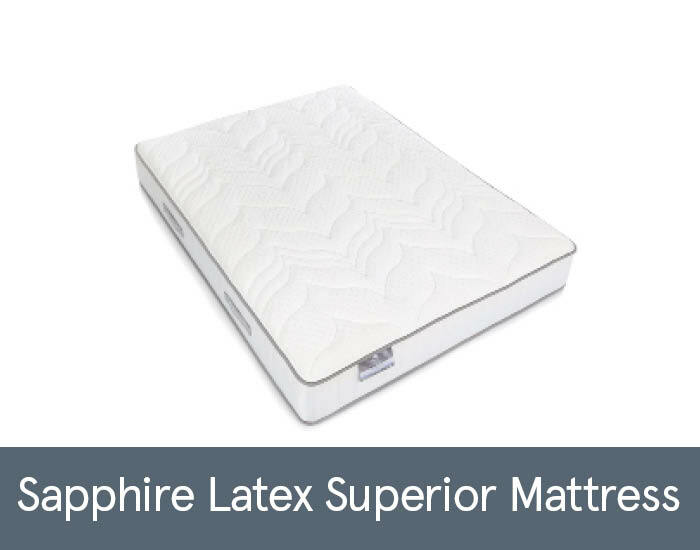 Within the Sapphire Latex Superior range the separate mattresses are suitable for bedsteads of choice, which are easy care meaning there is no need to turn the mattress. Regular rotation from head to toe will extend the life span of the mattress. These are available in sizes from single to super king size.